The Carmelite order of the Roman Catholic Church dates back to 1155 CE. The group originated in the Holy Land of the Middle East as a group of hermit monks, but gradually transformed into a mendicant order—one that takes a vow of poverty and austerity—of friars and nuns that live in service to the poor. Today, the order exists in many nations of western Europe and the United States. This was a transformative moment for Simon Stock, and in the following years he transformed the Carmelite order from one of hermits to one of mendicant friars and nuns that lived in social service to the poor and sick. He was elected Superior-General of his order in 1254 CE. A century and a quarter later, the Carmelite order began to celebrate the day of Simon’s vision, July 16, as the Feast of Our Lady of Mount Carmel. 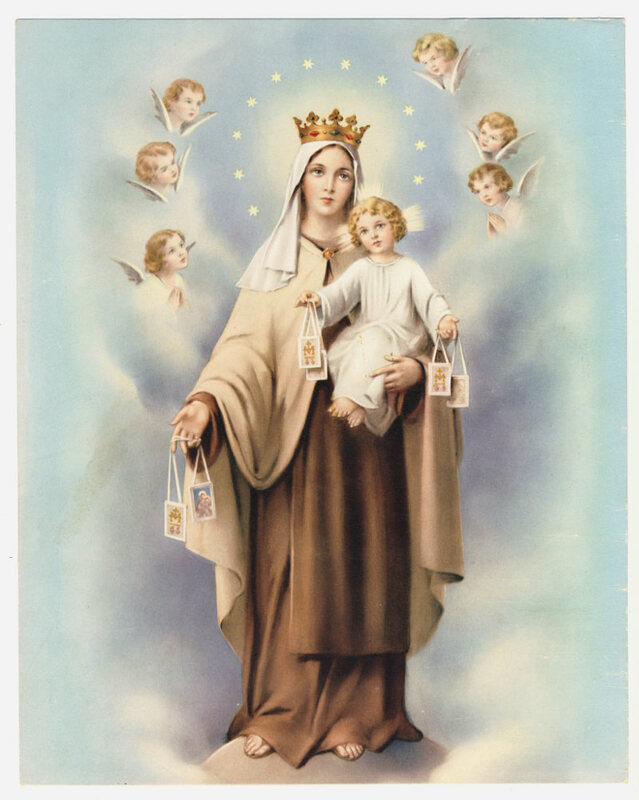 The feast celebrates the devotion that the Blessed Virgin Mary shows toward those who are devoted to her, and who signal that devotion by wearing the Brown Scapular. 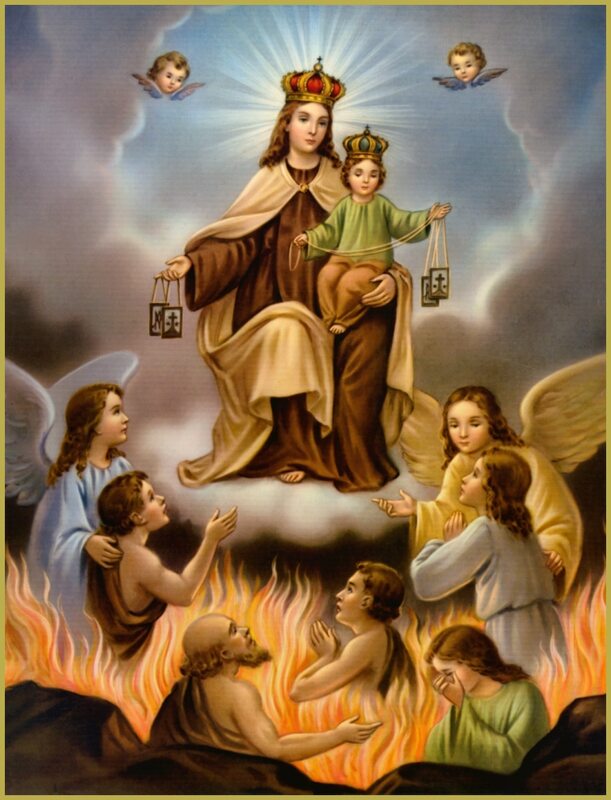 According to tradition, those who wear the scapular faithfully and remain devoted to the Blessed Virgin until death will be granted the grace of final perseverance and be delivered from Purgatory early. Oh, most beautiful flower of Mount Carmel, fruitful vine, splendor of Heaven. Oh, Blessed Mother of the Son of God; Immaculate Virgin, assist me in my necessity. Oh, Star of the Sea, help me and show me you are my Mother. Oh, Holy Mary, Mother of God, Queen of Heaven and Earth, I humbly beseech you from the bottom of my heart to succor me in my necessity. There are none that can withstand your power. Oh, Mary, conceived without sin, pray for us who have recourse to thee. (say three times). Holy Mary, I place this prayer in your hands.